Even in periods we might not think of as being glamorous, ancient Egyptians still knew how to be stylish. Take Khnumhoteps I and II, nomarchs (governors/administrators) of the Oryx nome (province) four thousand years ago. This remarkable family served the Twelfth Dynasty of pharaohs loyally and carved out a realm for itself in the 1900s BC. They were the rulers of the Oryx Nome, named after the oryx, a type of antelope. A servant to Pharaoh Amenemhet I, Khnumhotep I started building a lovely tomb complex at Beni Hasan. He established a massive mortuary spot featuring tons of descriptions about how high in royal favor his family stood and included beautiful portraiture depicting the nomarchs’ relatives and subjects. Archaeologists can derive much information from the biographies, both written and visual, at Beni Hasan. Khnumhotep served Amenemhet I. In his tomb autobiography, he noted that he sailed twenty ships to Nubia , where he ousted alleged rebels from the lands they occupied. Upon returning home, Khnumhotep said, “His Majesty appointed me as count of Menet-Khufu [a city in the Oryx nome].” My administration was excellent in the heart of His Majesty…” In these ways, he said, he “benefited” his people. Like many other peoples throughout history, the Egyptians created local incarnations of their most powerful deities. Interestingly, in the Oryx nome the local version of the falcon god Horus was Horus of Hebenu, Hebenu being the capital of the nome. 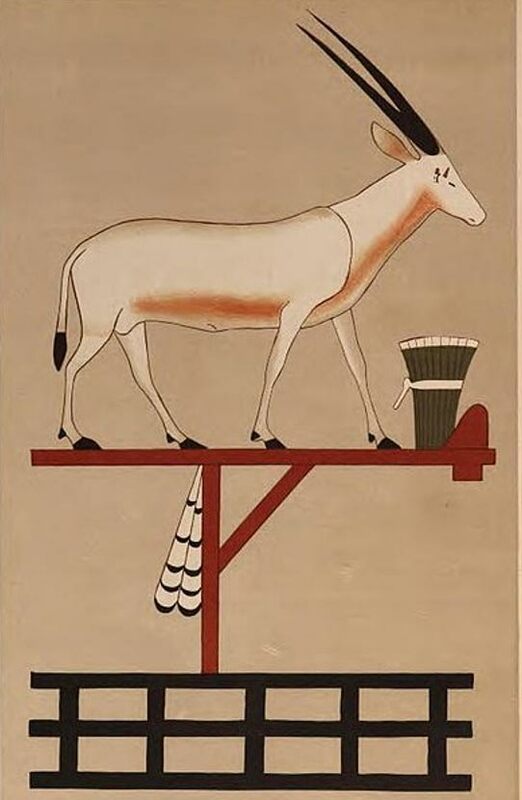 Emphasizing his local importance, on the north wall of Khnumhotep Senior’s tomb, the nomarch was called “One beloved of Horus foremost of Hebenu, the high official Khnumhotep, justified.” Traditionally, the oryx was a symbol of Seth, god of chaos and the untamed desert. When the cult of Horus came to town, it symbolically dominated the oryx, his arch-nemesis’s totem, in imagery, according to author Barbara Watterson. After Khnumhotep I’s death, his sons took up his mantles. But it was Khnumhotep I’s grandson and namesake, Khnumhotep II, who followed his ancestor in demonstrating his tomb-building talents. Khnumhotep II was the son of Beket, daughter of Khnumhotep I, and Nehri, ruler of the Hare nome. After his uncles’ death and the intercession of a guy named Amenemhet (we’re unsure whether or not he was related to this family) and perhaps another relative or two, Khnumhotep Junior took power. He wed a woman named Khety, daughter of the ruler of the Jackal nome, so he got his right to rule this land from his mother. Khnumhotep Junior recorded his many achievements in the service of pharaoh. He boasted how Amenemhet II gave him the “inheritance of the rulership” of his maternal grandfather—areas to rule near the Oryx nome, if not the nomarchship of the Oryx nome—and named him “count of Menet-Khufu,” a town or city in the Oryx nome. Khnumhotep added, “I was an esteemed one before the king and my praise was before his courtiers…” Khnumhotep II chronicled how King Senwosret II gave his sons honors, too. One of his kids, Nakht (perhaps named for one of Khnumhotep I’s sons), became ruler of the so-called “Anpu” (referring to the god Anubis ) nome, AKA the Cynopolite nome. His dad boasted of how Nakht received “a number of distinctions” and magnificent honors from Senwosret. 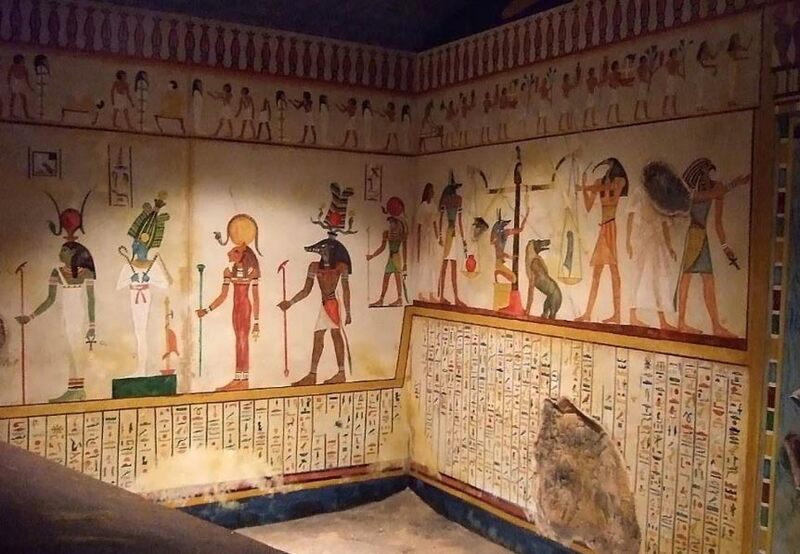 The walls of his funerary chapel were adorned with images of Khnumhotep hunting in the desolate desert, receiving petitioners and those seeking to honor him, as well as a procession of foreigners. The group of foreigners, called the “Aamu,” is identifiable as being non-Egyptian by its clothing and accessories. Evidence exists to imply that both Khnumhotep II and his successors conducted tons of trade with folks like the Aamu. These people are traditionally identified as being “Asiatics”—inhabitants of western Asia, near the Levant or Arabia. This is an important first pictorial example of Asiatic individuals hanging out in Egypt. A few centuries after Khnumhotep II’s tomb was completed, Egypt’s internal political structure had crumbled, leaving a power vacuum that princes of Asiatic descent filled. The so-called “Hyksos” founded the Seventeenth Dynasty and held sway in the Delta until the country was eventually reunified by the warrior pharaoh Ahmose I. Incredible scenes! Breasted, James Henry. A History of Egypt: From the Earliest Times to the Persian Conquest. ---. Ancient Records of Egypt: the First to the Seventeenth Dynasties . Vol. 1, University of Chicago, 1906. ---. “The Procession of ‘Asiatics’ at Beni Hasan.” Cultures in Contact: From Mesopotamia to the Mediterranean in the Second Millennium B.C. , edited by Joan Aruz, Sarah B. Graff, and Yelena Rakic, Metropolitan Museum of Art, 2013, 156-169.